Despite frightening headlines of mob activity, most shoppers and pedestrians along Michigan Avenue on Monday said they still feel safe in the area and wouldn't let weekend incidents stop them from enjoying Chicago. "You just have to be vigilant, and keep an eye on your family and your kids," said shopper Lori Smith. Twenty-eight people were arrested after fighting with police and causing problems on the Magnificent Mile. They were charged with misdemeanor reckless conduct and battery and later released, officials said. Shopper Sonja Fryer chalked it all up to contemporary living in the city. It was a good news-bad news day for City Hall as Chicago announced improved homicide numbers but saw them overshadowed by the weekend melee on Michigan Avenue over the weekend. Phil Rogers reports. "Bad things can happen in good places and good things can happen in bad places," she said. Katie Wysocki, one of the managers of Devon’s Seafood Restaurant, witnessed the mob outside the restaurant around 6:30 p.m. and sprang into action by blocking the doors to keep the mob outside and keep her guests safe. Supt. 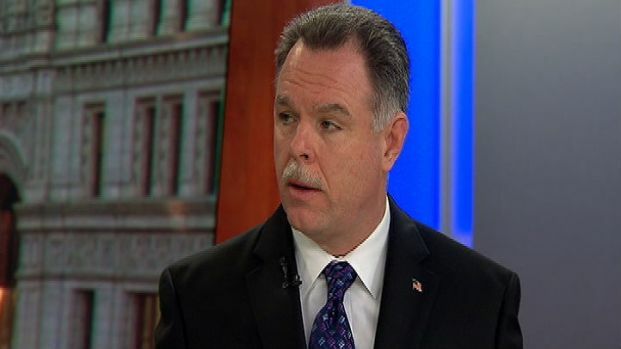 Garry McCarthy talks to NBC Chicago's Stefan Holt and Daniella Guzman about the weekend's violence on Michigan Avenue and the 69 percent decline in murder rate in March. "The cops were really proactive. They were pushing people out of the way with cars. There were six to seven squad cars [and] two [officers] on horseback so I think they were handling it pretty well," Wysocki said. Supt. Garry McCarthy said these incidents occur every year as the weather gets warmer. "When the weather warms up, yes, it does get busier, no two ways about it," McCarthy said. "But weather doesn't cause or prevent crime. It's an influence. There's more people on the street, and that's unfortunately when some of the gang violence really perks up." Supt. 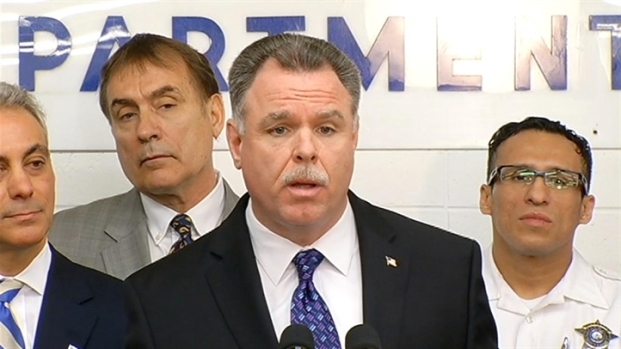 Garry McCarthy said the teens who took to the streets Saturday night downtown Chicago did not use social media to organize the melee. McCarthy on Weekend Mob Violence: "We've Seen it Before"
The Guardian Angels began patrolling the area following the incident to deter flash mobs from forming. But they say to stop these occurrences, children need more supervision since these gatherings start through social media. "We need to start asking the parents where their children are and to not let downtown or any part of the city becomes your children's daycare," said Guardian Angel Miguel Fuentes.